Starting in October, buying a copy of GQ is going to cost you a little bit more. Condé Nast has announced that the men’s glossy is bumping its newsstand price from $5.99 to $6.99. 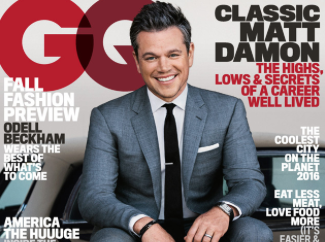 GQ’s March, September and December issues will jump an additional dollar, to $7.99. GQ publisher and chief revenue officer Howard Mittman said the increase was based on positive sales from previous standout issues, such as GQ’s 2015 Men of The Year edition, which was a larger format and featured thicker paper stock.